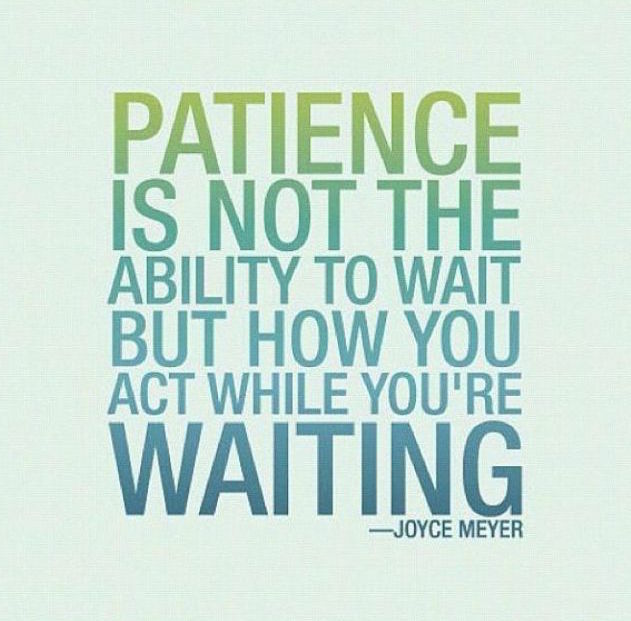 How can one have patience when dealing with things in life that they can't control? It's a tiresome feat, no doubt. But I'm not typing this entry to give you the million dollar answer to that question. That answer probably doesn't exist and never will. 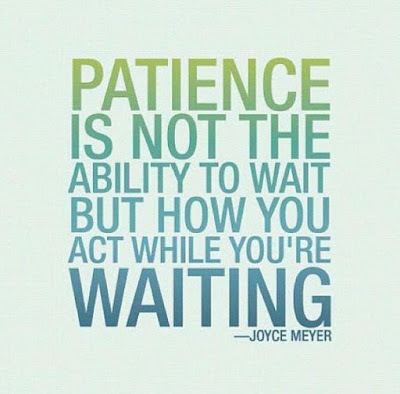 As imperfect human beings, we all tend to get impatient and worked up over our problems. But that doesn't mean our problems should stop us from thinking logically about our situations. Sure, you got a bad grade on the test you studied hard for, but at least you got the chance to go to school and take it. And maybe your parents didn't need to be so harsh with you when you said something rude, but at least you have parents who care about you and your behavior. It's all about perspective. I know it's hard to put the positive-thinking cap on all the time, it's especially hard for me, but I think it's something we can all keep in mind as we go through life. So if it's anything you take away from this post, it's that perspective can make a big impact on how we stay patient through whatever trials come our way. Inspiring! Everything you said was so true!! !